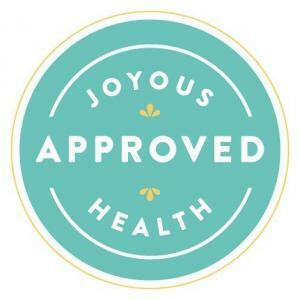 Kaslo Sourdough is Joyous Health Approved! 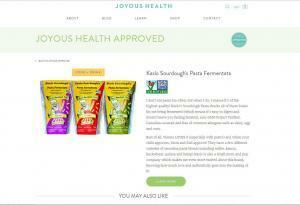 Kaslo Sourdough is excited to have our fermented pastas Joyous Health Approved! What does this mean? Joy McCarthy, Certified Holistic Nutritionist and best-selling author, in Toronto, continuously compiles a list of top products that help people live happier, healthier lives, and that now includes our sourdough pastas! Joy writes: “Best of all, Vienna LOVES it (especially with pesto!) and when your child approves, Mom and Dad approve!” It’s comments like these that keep us motivated and give us the feedback that we’re on the right track! Her criteria include looking at the sourcing and manufacturing practices, company culture, and ingredients, to ensure that products are free of harmful substances, follow ethical sourcing and manufacturing processes, use quality ingredients, and are good for you and for the planet.